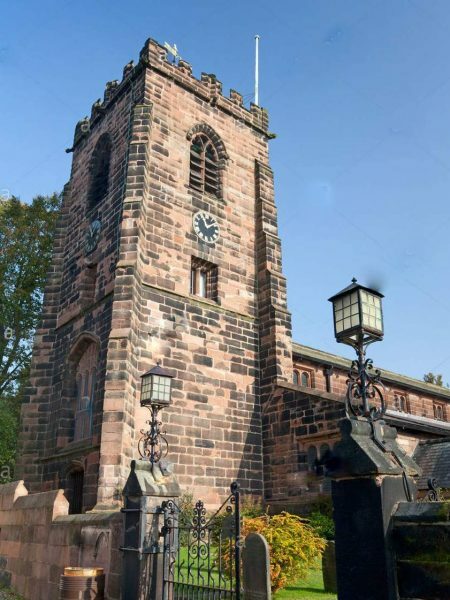 An order has been placed by the PCC of this church for their ring of eight bells (tenor 11 cwts) to be removed from the tower, together with its bell frame and all fittings. 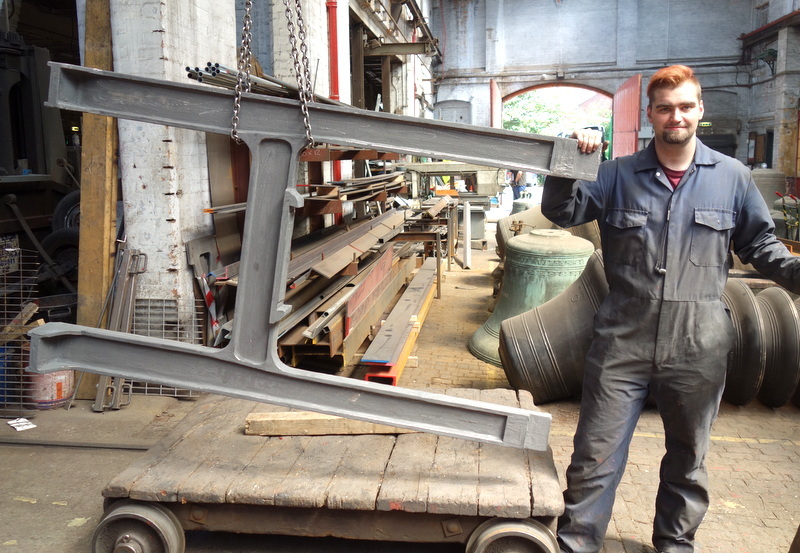 A new ring of ten bells, with a similar weight tenor bell, will be cast, tuned and hung in a newly constructed galvanised steel bell frame of low side design with all new fittings. 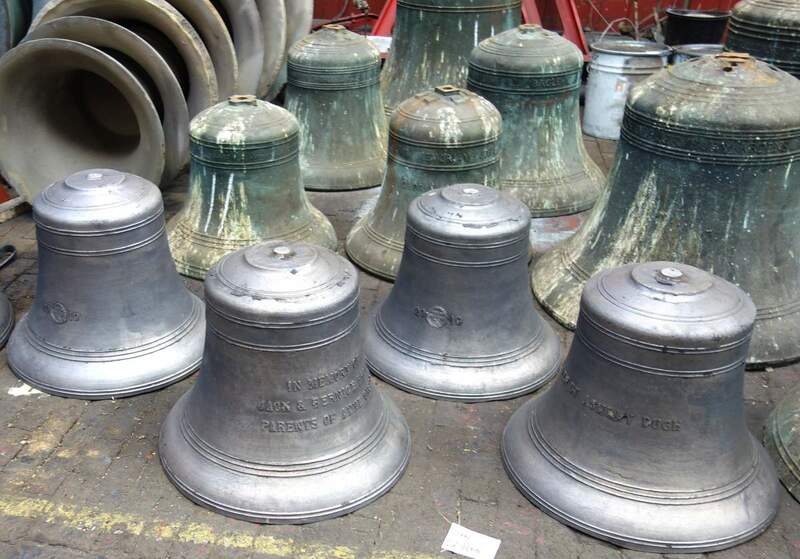 Four of their existing bells (3, 4, 6 & 7) were cast by Henry II Bagley in 1700 and are listed for preservation. 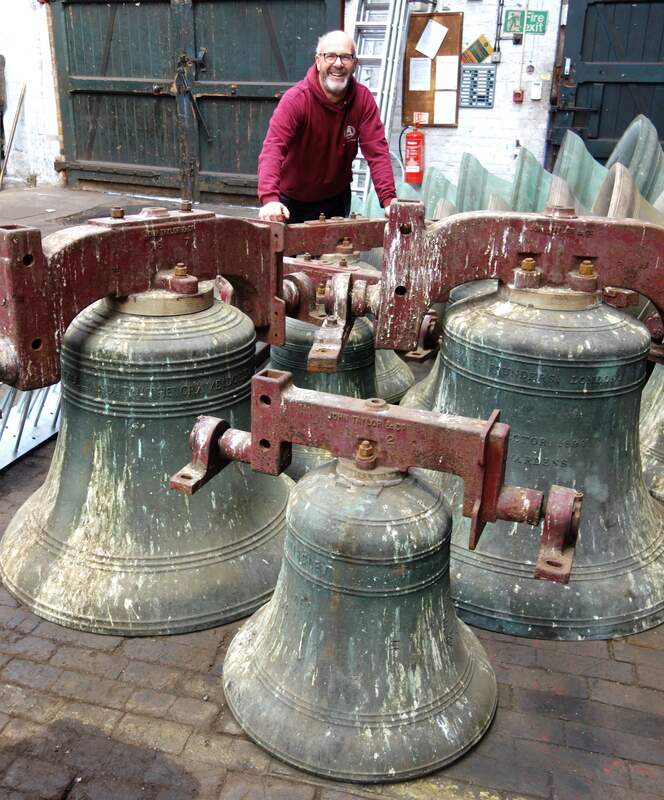 These bells will be conserved, and rehung for chiming above the new ring of ten on a newly constructed platform designed to also house the relocated church clock. 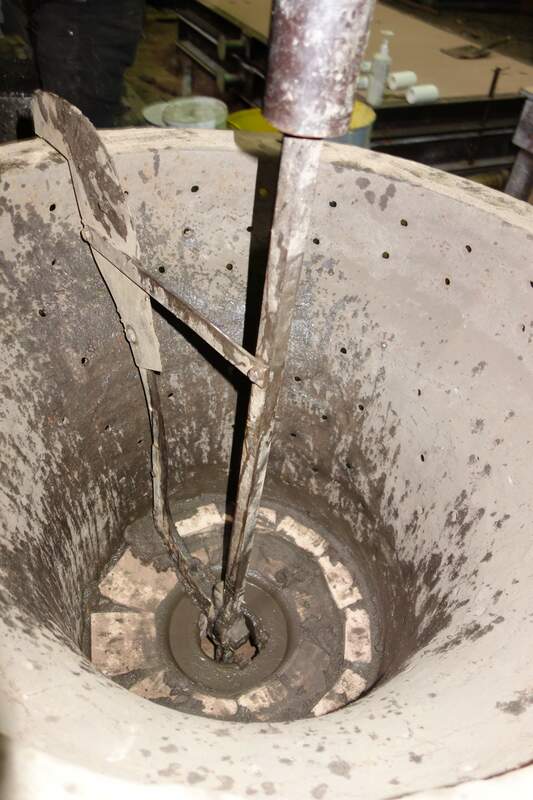 The belfry floor will be repaired and consolidated, and sound control will be installed. 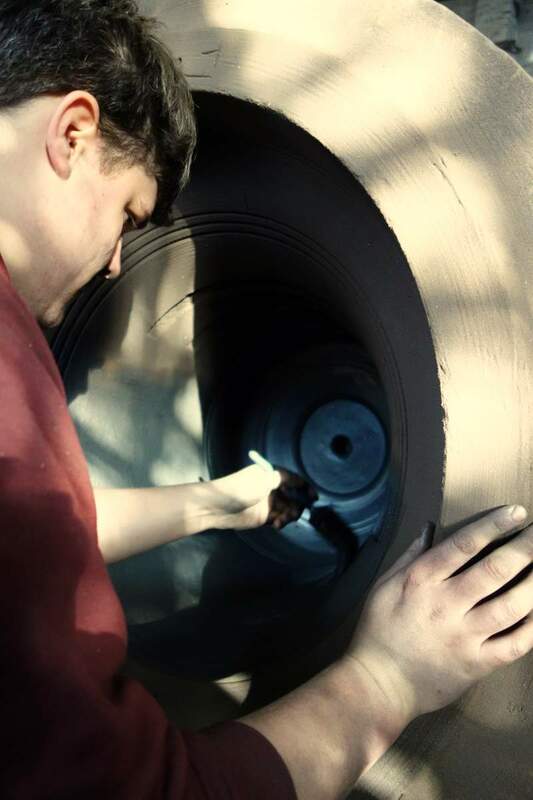 Anthony makes a start on one of the outer moulds - messy work! 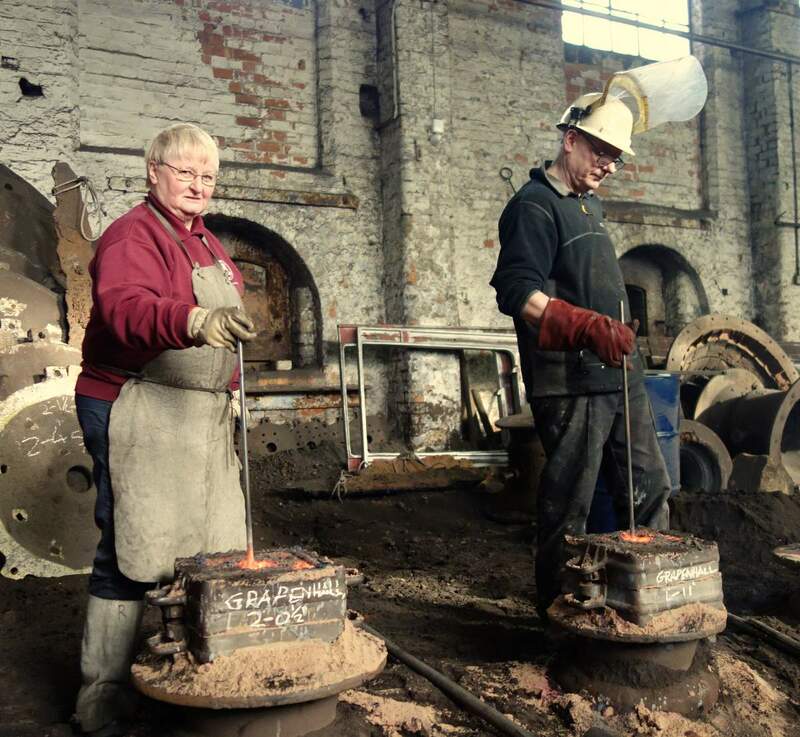 Bell hanger Neil Thomas removed the bells from Grappenhall with local help. 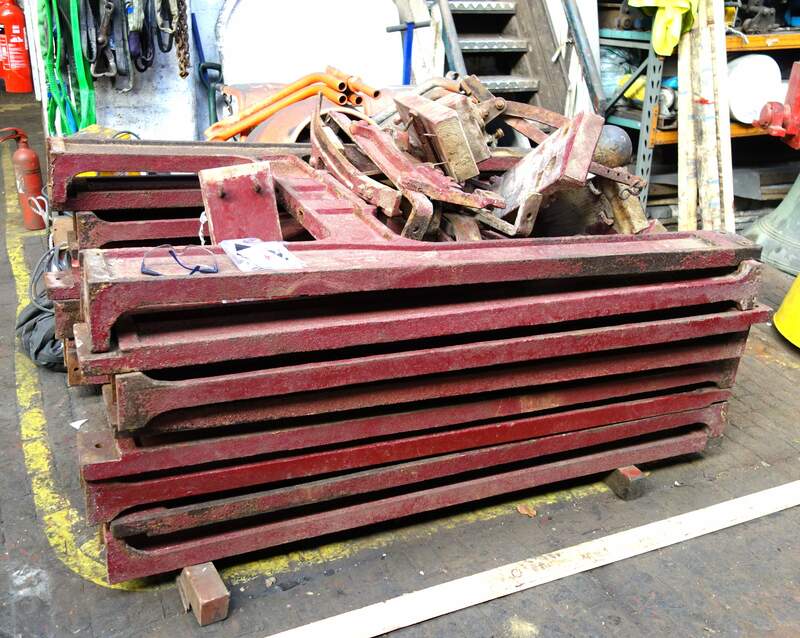 Grappenhall's existing Taylor cast iron "H" frames will be sand blasted clean and will come up like new! 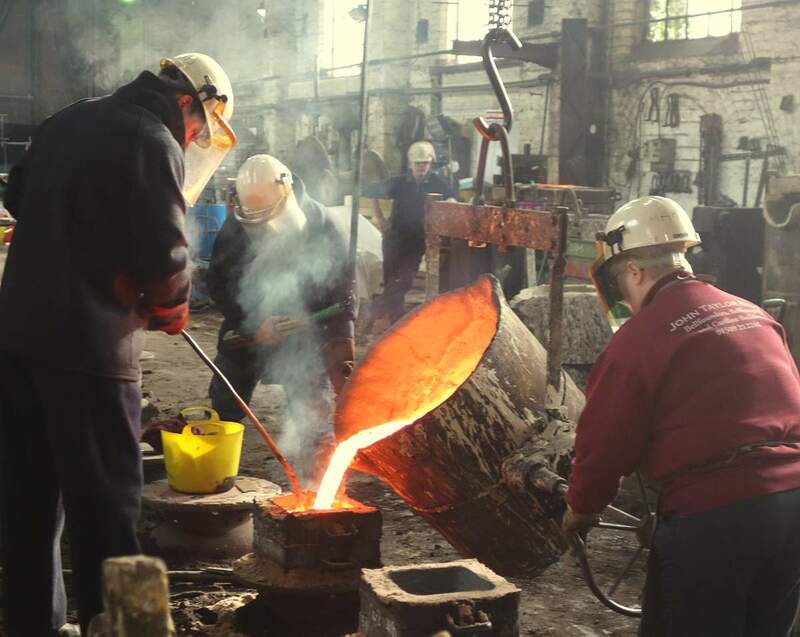 Mary & Roger "feed" the newly cast bell - ensuring new metal enters the mould as the setting bell contracts internally as it cools. 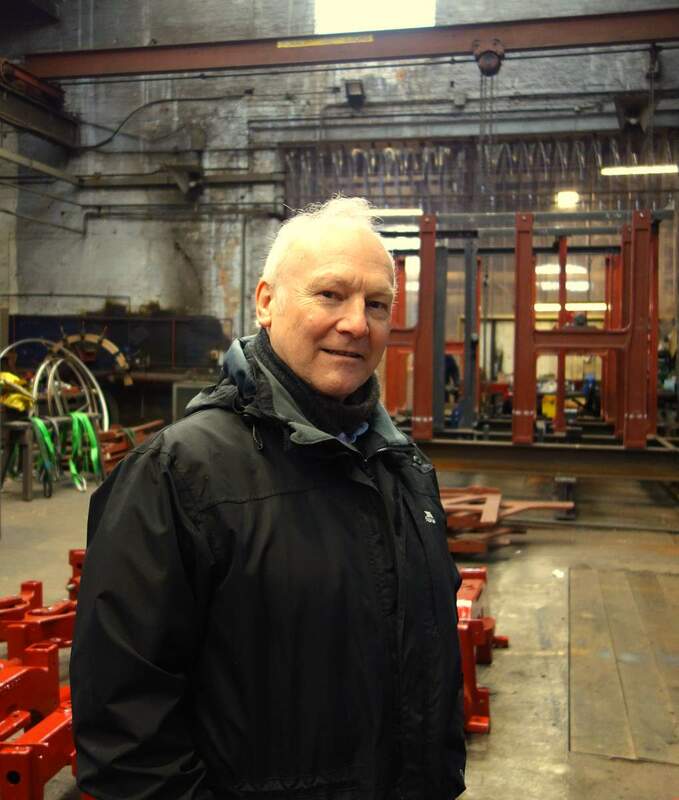 Ray Halliwell who has led the Grappenhall Project. 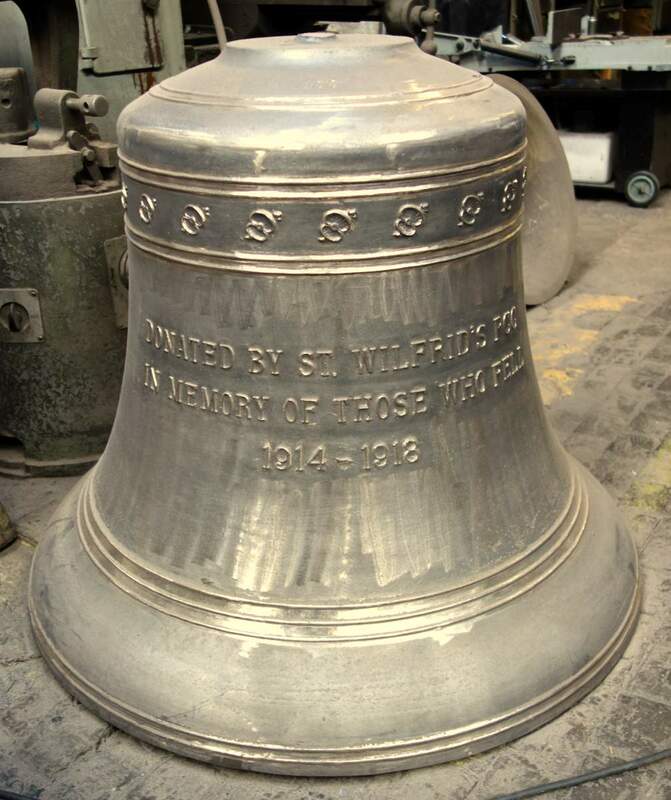 The first four bells straight from the mould before fettling. 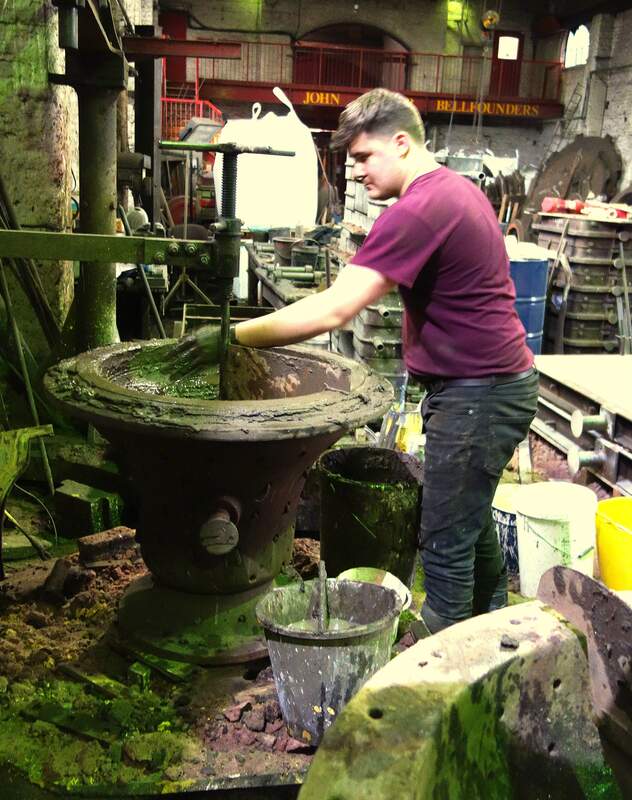 Matt prepares the mould for the casting of a new "H" frame. 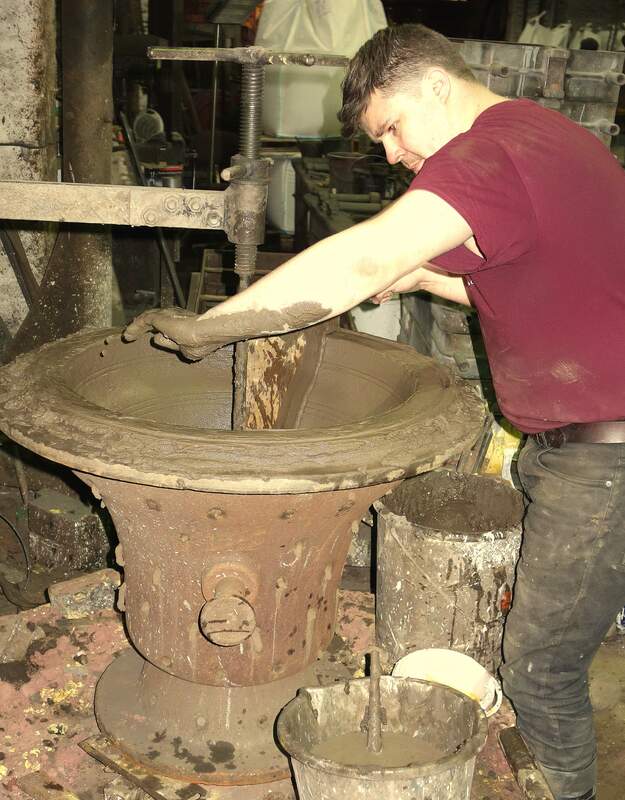 Will moves the newly cast tenor bell into the works for fettling. 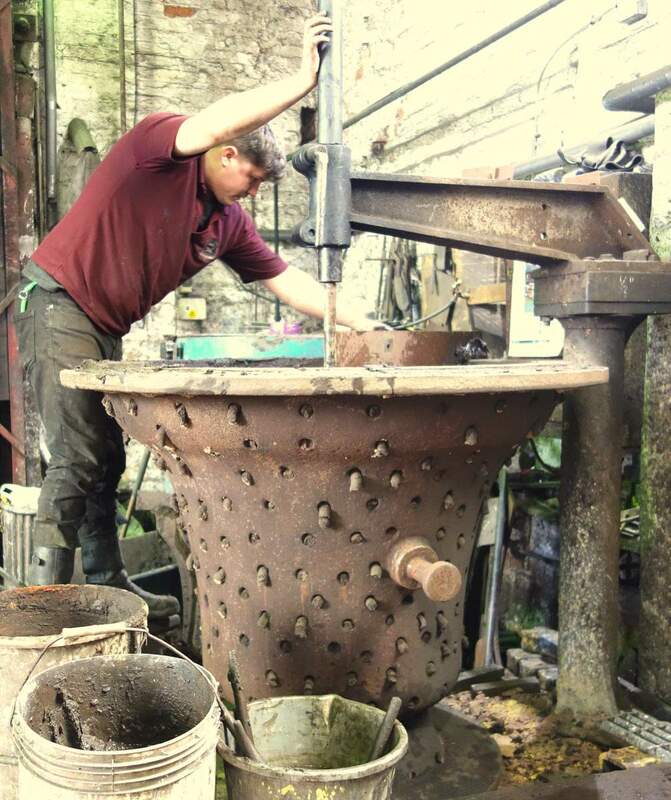 Anthony prepares another of the Grappenhall moulds. 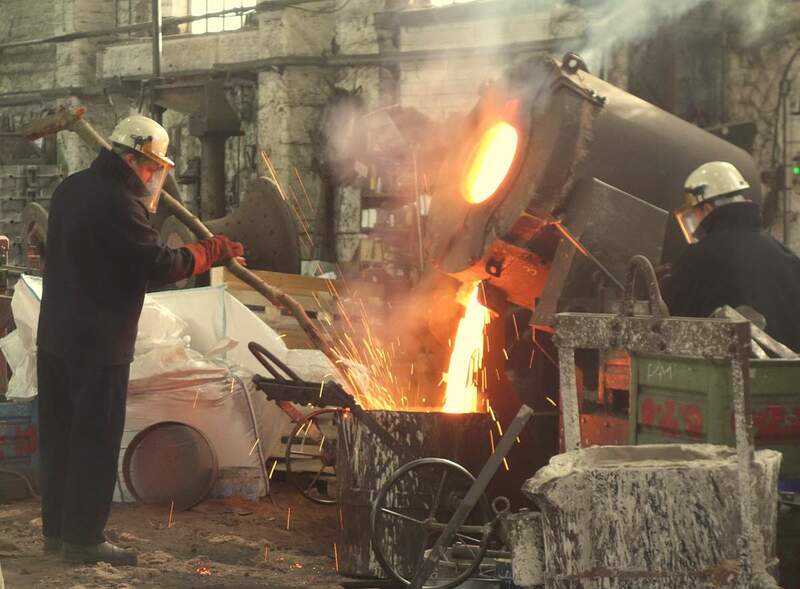 One of Grappenhall's new "H" frames straight from the Foundry. 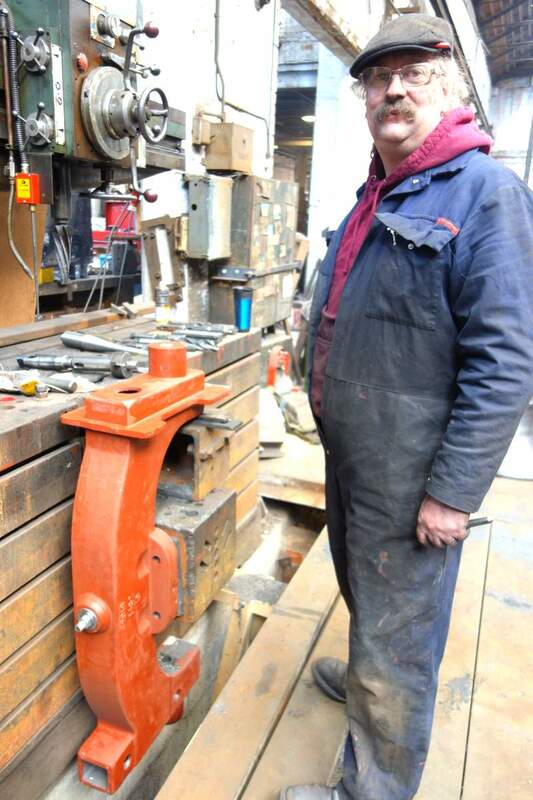 Bill drills the tapered holes to fit the gudgeon pins. 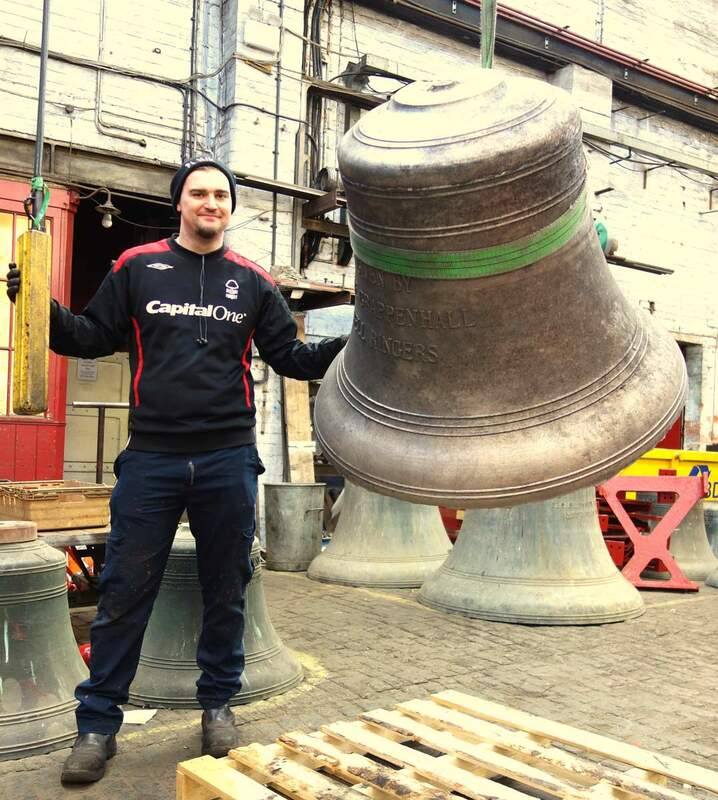 The bells, their frame and fittings have been removed from the tower and are at Loughborough. 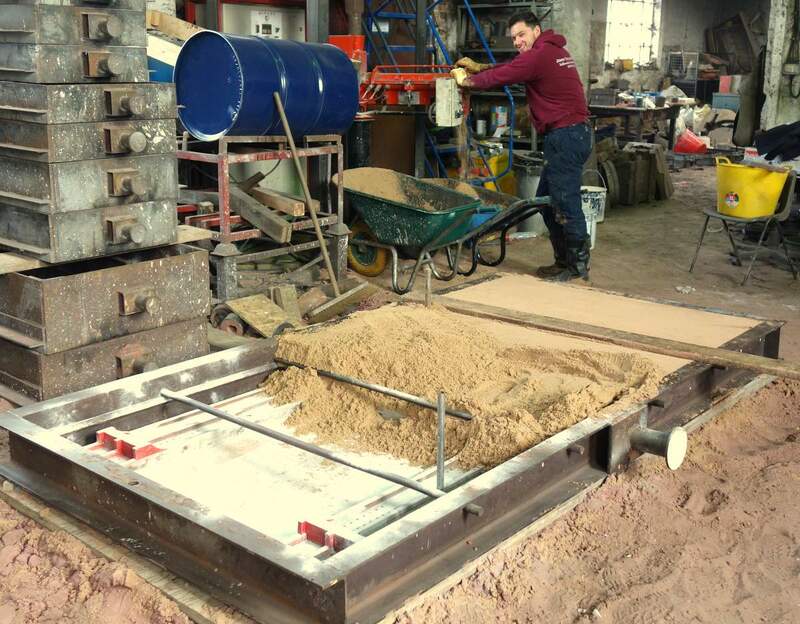 The moulds for the new bells are being prepared in readiness for casting. 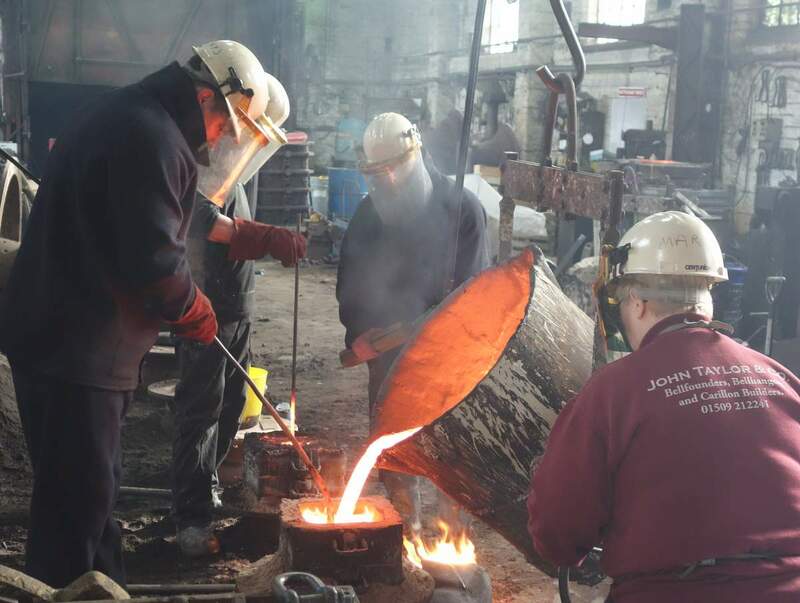 The first six bells were cast on 31st January and 21st February, and are in the process of being fettled. 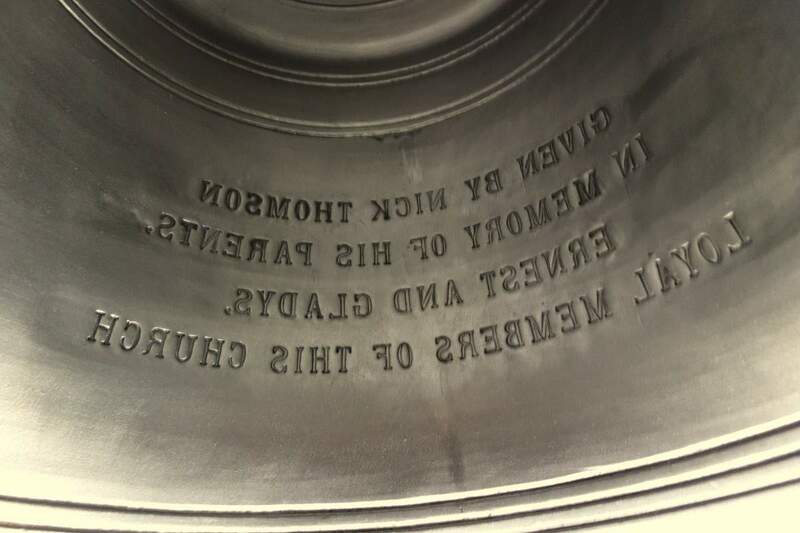 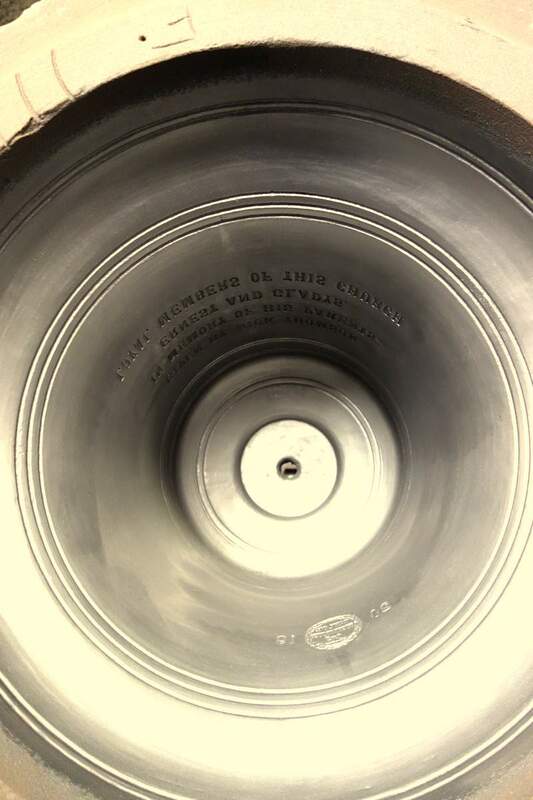 The remaining bells were cast on 21st March 2019.